The latest in a long line of new materials, products and services, is the introduction of Precision ground and polished Zirconia Zirconium Oxide (ZrO2). The Multi-Lab group, has an enormous amount of experience in grinding lapping and polishing quartz built up over many years. The Board of Multi-lab could see the opportunity immediately with most if not all of the equipment already in place, it was more a case of investment into the correct and separate diamond tooling. So as to ensure there is no cross contamination of materials, a very big concern when using subcontract grinding companies, many of whom use the same wheels / tooling for all materials, (Hard metals such as Tungsten Carbide Ect) which can result in submicron metal particles being embedded into the surface of the ultra-pure ceramic, This is very often, completely unacceptable for a ceramic / zirconia application, as many are used in the, Chemical, Food and Medical industries. 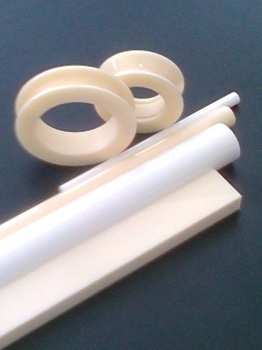 Zirconium Oxide is a very versatile material, with very specific properties. Dosing pumps, pistons and bodies. Zirconia is generally stabilized with either Yttria or Magnesia but Alumina toughened is also available. Some grades can operate in excess of 2000 deg C but with a limited life the higher you go. Due to a combination of high density and very fine particle size, Multi-Lab have been constantly achieving better than Ra 0.025 um. Zirconia is also, often the choice of ceramic for bonding to steel due to a very similar thermal expansion.